Nature in Slovenia is diverse and beautiful as it is a combination of the Alps, the Mediterranean, and continental Europe. In Slovenia, we have a system of conservation and we take action to improve the attitude of the generations currently living in this area towards nature in order to preserve it. More than three quarters of land is privately owned, but everyone is allowed to visit forests, rivers, mountains, and the sea respectfully, as well as use the trails. Visiting nature for rest and recreation has a long tradition in Slovenia and a number of organizations provide a good example of how to do it. Visiting nature and enjoying its benefits is becoming increasingly popular. Visitors from abroad join the locals; the offer of outdoor activities for visitors is increasing. Quite an effort will be required to preserve nature for future generations and us. The assembled code of conduct represents guidelines that respect the legislation and are based on traditions and conduct developed over time. The guidelines in this document are described generally and commonly for anyone to use them. ? 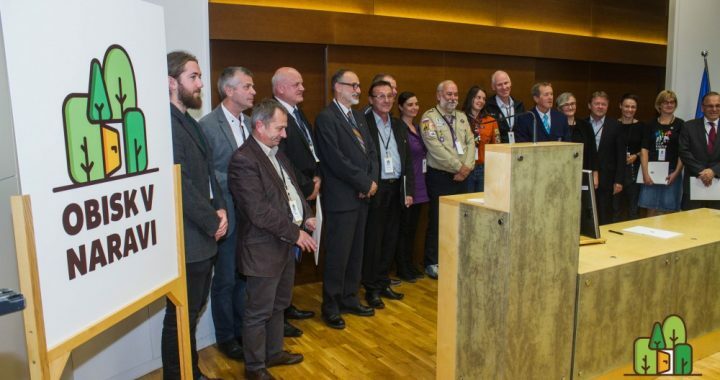 Slovenian summary: Konec septembra je 27 slovenskih civilnodruzbenih organizacij predstavila kodeks obnasanja v naravi v Sloveniji, poimenovan Obisk v naravi. Cilj kodeksa je bolje informirati obiskovalce narave ter turiste, kako se v Sloveniji obnasamo v naravi.